For those of us hungry for horror, FX just might have something satisfying. 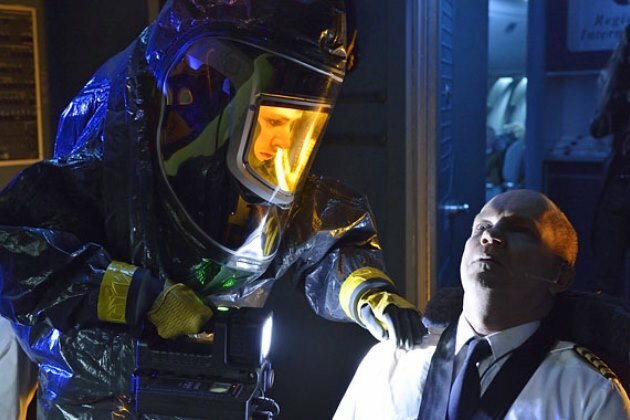 Part vampire, part medical drama, The Strain redefines what traditional television conventions dictate. Disturbingly twisted and enormously bold, this high concept story is unlike anything ever attempted on regular cable programming. Guillermo del Toro and Carlton Cuse break the modern mold of the lovable but forlorn sparkly vampire, giving us instead something that literally gets under the skin. 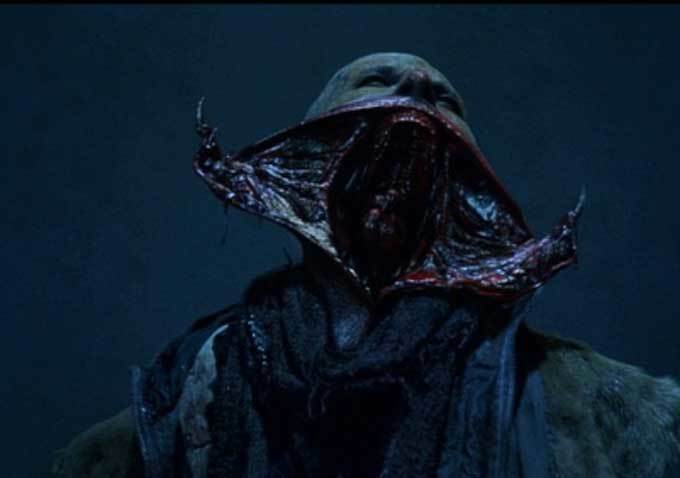 The Strain concept was originally developed for television, but when networks baulked at the idea of yet another vampire show, del Toro turned to another avenue, books. In 2009, his idea became a trilogy of graphic novels written with the highly respected author Chuck Hogan. Carlton Cuse, who brought us amazing television such as the dearly departed Lost and new fan favorite Bates Motel, became involved with The Strain early in its transition back into a television project. His respect for del Toro and appreciation for the books made him the perfect choice as executive producer and show runner. 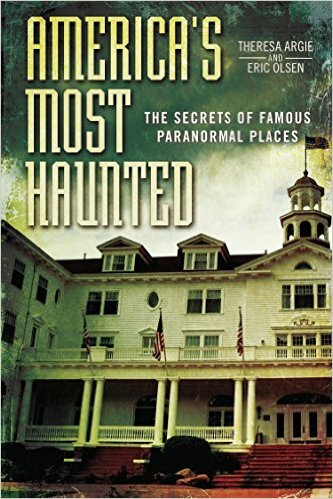 Carlton Cuse: Embedded in this book was the fantastic opportunity to upend the vampire genre. The genre has been overrun by romance. We’ve had our fill of vampires that we’re feeling sorry for. It was time to get back to the conception of vampires as really scary, dangerous creatures. Mission accomplished. The Strain‘s vampires are something completely different, in fact the term “vampire” may not seem fitting at all to those of us used to the more traditional charismatic and often charming character. These vampires are ugly. And scary. Very, very scary. In the premiere episode, we are introduced to several of the series main characters and get our first shocking look at the monsters. The story gets tricky so pay attention. A plane lands at JFK in New York with all but four of its passengers dead from something unknown. The survivors have no idea what happened and offer little information on the event. Enter Dr. Ephraim Goodweather (Corey Stoll) and his first response Canary Team from the Center for Disease Control. Our troubled hero is surrounded by bewildered colleagues, devious contemporaries, and mourning families that take their rage and frustration out on him personally. Dr. Goodweather fights against bureaucracy, politicians, and even his estranged wife while tackling this dilemma. He plans to do whatever it takes to contain the situation find out what killed the 206 passengers regardless of the personal and professional cost. Strange worm-like creatures are found in the plane. A mysterious coffin-like “box” goes missing from the cargo hold. Questions arise at every turn. Something is amiss and nothing makes sense. One person seems to know what’s gong on, if he could only get Dr. Goodweather to listen. 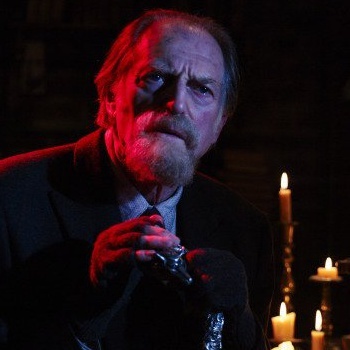 Abraham Setrakian (David Bradley) is an eccentric old man with information that is deemed too crazy to be true. From there our story spreads like wildfire. Whatever malevolent force was liberated from the plane has spread its infectious reach throughout New York. Bodies start dropping… and then walking away. Dark and deadly characters — monsters in their own right — pop up everywhere. A villain lurks around every corner, even before we get to the vampires. The vampires are like a parasite, searching for a host and then devouring them from the inside. Both their physical body and their humanity is eaten away in a very vile and graphic scenario. Some become infected, some become food. It’s a vampire meets virus meets zombie meets murder mystery/medical/political drama all connected by a nine foot blood sucking tentacle. Del Toro and Cuse have been granted liberal license by FX to take the story wherever they want to go. Their vision will follow the concept set forth in the books, but have a definite television structure. Unlike most series that start open-ended and hope not to get cut off at the knees after one season, Cuse and Del Toro have a plan. Carlton Cuse: The show will run between three and five seasons, but it won’t be more than five. We’re writing to an endpoint, and we’re following the path as established in the novels. The goal is not to literally translate the book into a television show. You want to take the book as a source of inspiration. 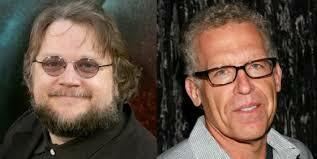 Guillermo del Toro: We want the milestones and the characters that are in the book to be hit. It’s a very elastic relationship but it’s very respectful and mindful of the things and will not alienate someone that likes the books. It’s almost like a hostage situation, you need to show the audience that you’re not kidding. You have to show you are going to deliver either by atmospheric, creepy moments, or by visceral punch, hopefully both. You’re going to be able to deliver the goods, the things that will make you feel queasy, unsafe, will bring this delightful shiver that is required with the genre. They got the queasy and shiver part right! The Strain is a menagerie of bold, brash, bloody gore interwoven into a complex story where things are not as they seem, characters all have a dark side, and the monsters come in many forms. 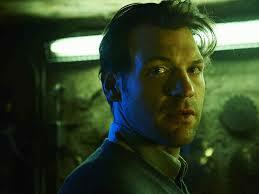 The Strain, starring Corey Stoll, David Bradley, Sean Astin, and Mia Maestro premieres Sunday, July 13 at 10pm on FX. 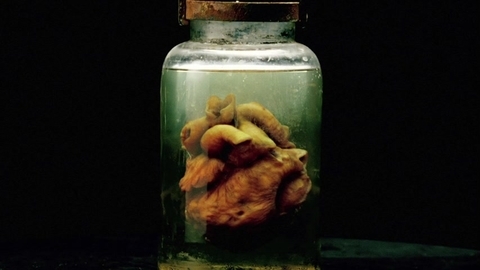 I hope you “heart” it as much as I do.